Pandas & Golden Hawks off to Kazakhstan! 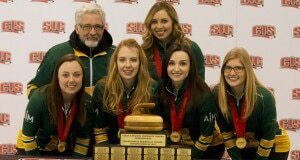 The medal round on the women’s side of the 2016 CIS / Curling Canada University Tournament had the Thompson Rivers University WolfPack against the University of Alberta Pandas for the gold medal. (by Jesse Matthews) On Tuesday night all but one of the eight playoff spots had already been decided for Wednesday’s semifinals, and it was in the women’s draw. 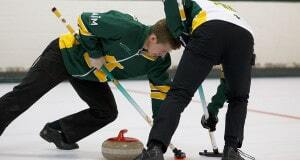 On the men’s side, the fifth draw of the CIS / Curling Canada National University Championships saw two teams competing with a chance to stay perfect on the tournament through the second day. 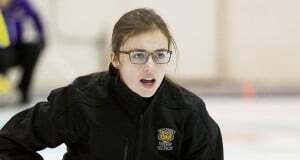 The second draw for the women’s side on Monday saw the reborn Brandon Bobcats program, skipped by Janelle Vachon, take on the Samantha Crook’s as-yet winless Varsity Reds from UNB. 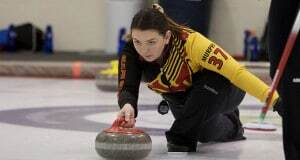 by Jesse Matthews On Monday morning in the women’s draw at the CIS / Curling Canada University Championships, Brock took on Brandon, Dalhousie squared off against Wilfrid Laurier, Guelph faced Thompson Rivers and Alberta matched up against New Brunswick. 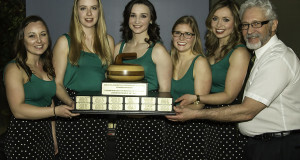 By Grayson Leahy The 2016 CIS / Curling Canada University Championships opening draw at the Kelowna Curling Club had the host UBC Okanagan Heat men taking on the Sir Wilfrid Laurier Golden Hawks. 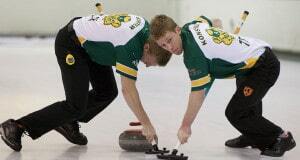 While the Heat earned an automatic bid as the host team, and have few competitive games under their proverbial belt, the Golden Hawks are considered to be one of the favourites in the tournament. 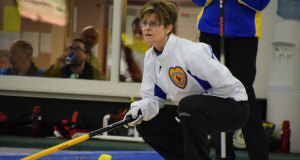 The teams are set for the gold medal games at the 2015 Everest Canadian Senior Men’s & Women’s Curling Championships at the Thistle CC in Edmonton. 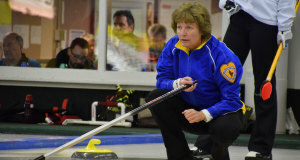 The match-ups are in place for the semifinals of the 2015 Everest Canadian Senior Men’s & Women’s Curling Championships at the Thistle CC in Edmonton. 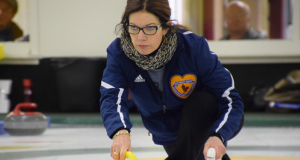 As a result of the games in this 21st draw of the 2015 Everest Canadian Senior Women’s Curling Championship at the Thistle CC in Edmonton, the teams advancing to the playoffs have been identified. 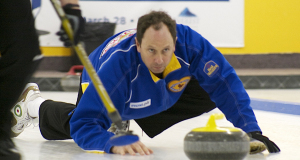 Alberta’s Glen Hansen and Manitoba’s Randy Neufeld have earned berths to Saturday’s semi finals at the 2015 Everest Canadian Seniors Curling Championships at the Thistle CC in Edmonton. 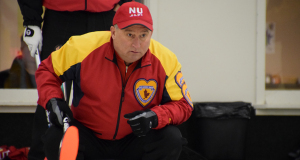 Ed Sattelberger of the Iqaluit C.C. 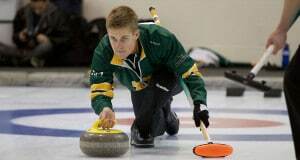 defeated Al Hackner 10-5 in Thursday afternoon’s draw at the 2015 Everest Canadian Senior Curling Championships at the Thistle C.C. in Edmonton.